So I bought a bunch more plants, this time from Shooting Star Nursery. I am planting a burr oak, 2 sassafras trees (one of the commonest things in our local woods), 2 more paw paws (already have 3 but it is also one of the commonest things in natural local woods), an eastern white pine, a female winterberry (to replace one that died, still have the male one), kalmia, some more tiarella, aquilegia, and bearberry. 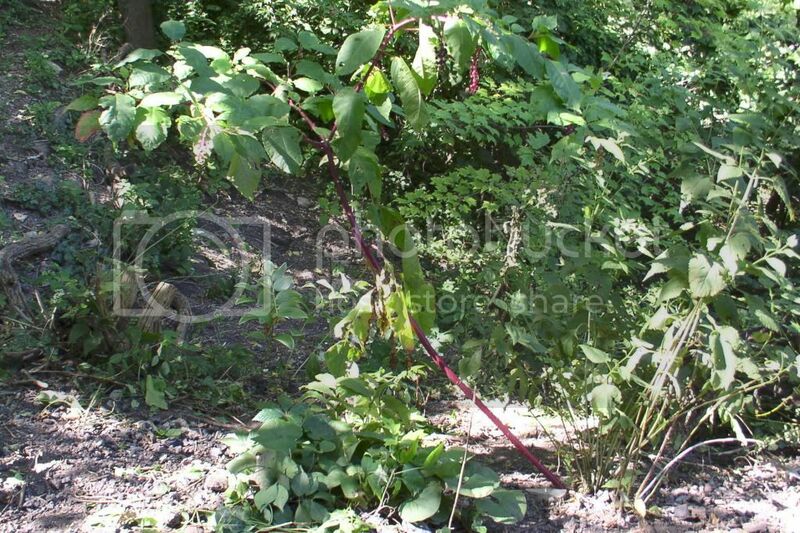 Some of what I already have: one huge old hackberry (the only native tree that was there), buckeyes, spicebushes, carolina allspice, clethera, red maple, silver maple, catalpa, scarlet oak, redbud. Solomon seal, false solomon seal, lots of celandine poppy (it spreads itself enthusiastically), cutleaf toothwort, appendaged waterleaf, wild ginger, lots of white snake root (too aggressive, I've pulled bales of it), black cohosh, hepatica, tiarella, goatsbeard, uvularia, and lots of spring ephemerals: virginia bluebells, three kinds of trillium, jack in the pulpit, trout lily, blood root, squirrel corn, twinleaf, bedstraw, spring beauty, and others. Last edited by rainbowgardener on Mon Apr 19, 2010 7:14 pm, edited 2 times in total. Rainbow - would you be able to post some pics? Your garden sounds beautiful and I'm sure we would all love to see your area of focus! Yes, please post pics. It is great to hear what is native in other locations. Your list sounded like something from an old diary, since none of those plants are native to my region (well maybe...a trillium, but I don't know). I love my local natives too. It sounds like you have a large area to plant. I'd also like to see pics. Are you doing before and after pics? Sounds wonderful, Rainbowgardener. All those plantings will provide a super, safe, wildlife habitat. You must be seeing a lot of insects, birds, and animals moving in already! My property backs to a bit of woods that is part of a recreational area, but the township's management practices are far from my idea of ideal. Still, I think it helps to provide a sense of security for the wildlife. 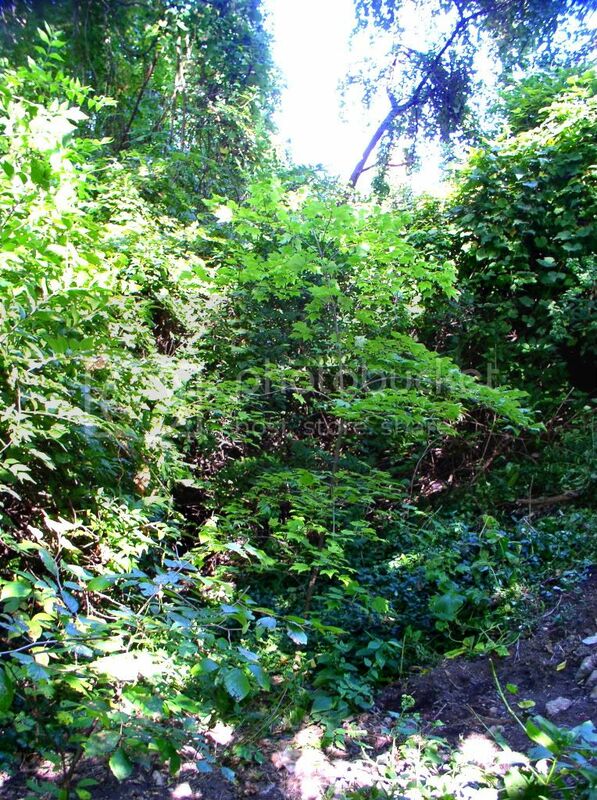 My own goal has been to extend that woodland edge into my property with native plants, and create different habitats -- wet/bog/pond, meadow/wildflower, shaded, weedy/brambly, etc. 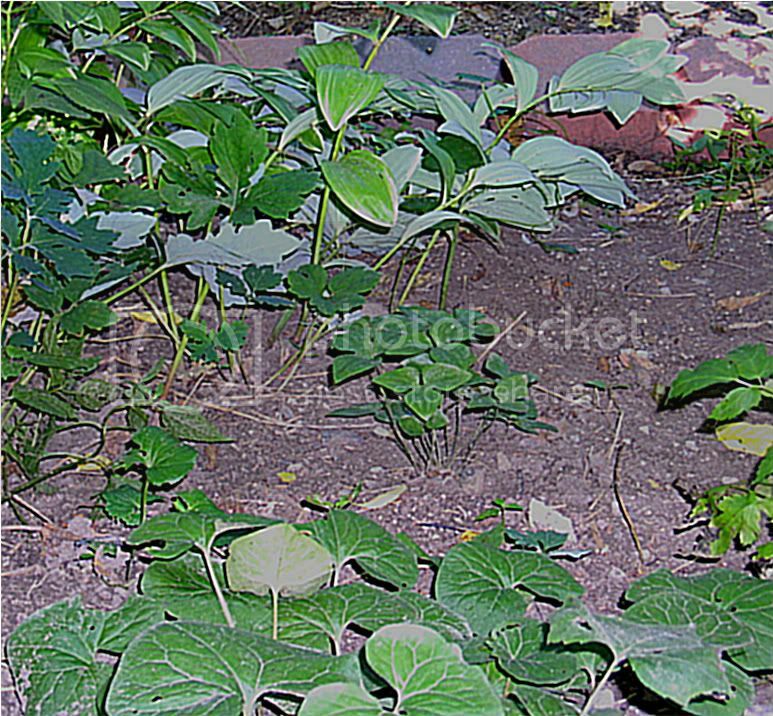 -- while incorporating edible landscaping for our use as well. I have my calendar marked for a local Pineland Preservation Alliance native plant sale next Sat. as well as Bowman's Hill's fall native plant sale starting next weekend. We'll talk after then. some pictures -- my backyard! 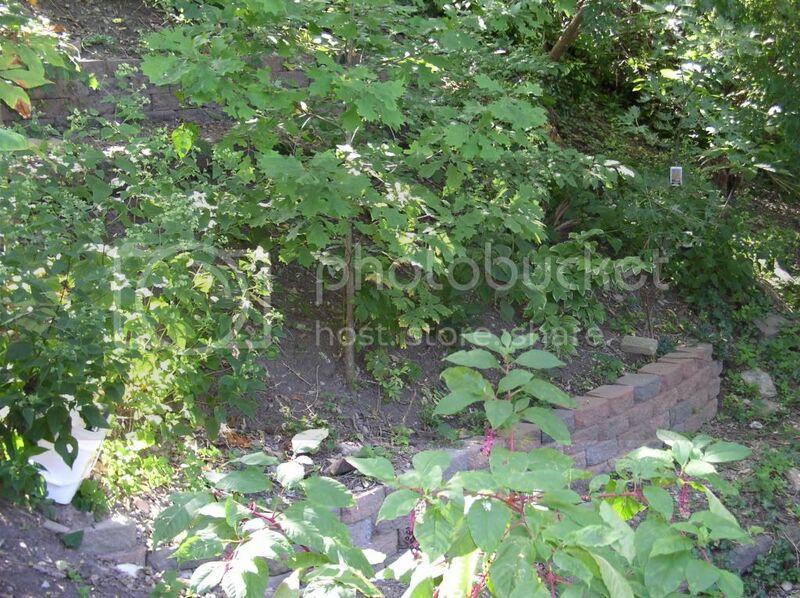 If you look closely, you can see in this picture two of the three retaining walls I've built. Farther up the hill is the third which holds in my herb garden which is at the top of the hill where it's sunnier. 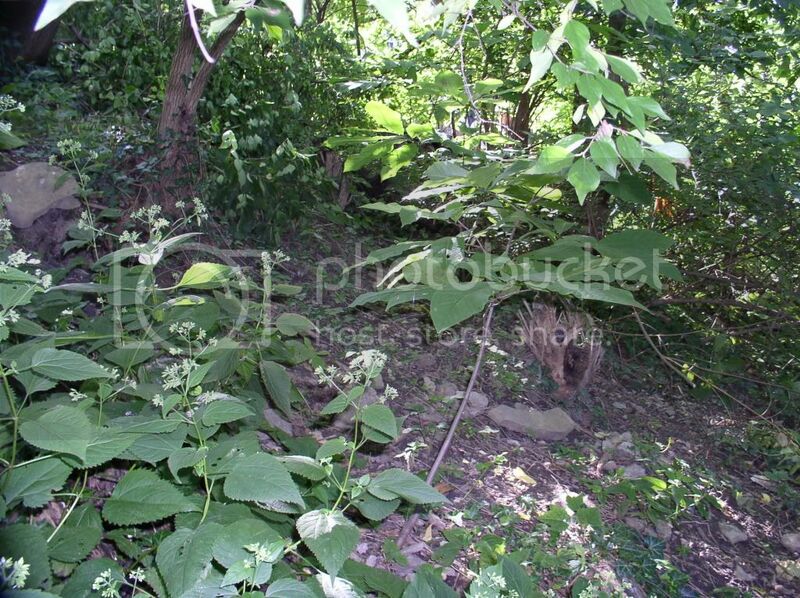 When I started it was land fill/dump, totally over grown with honeysuckle, english ivy, poison ivy and trash. I have no before pictures, because I couldn't even get down there to take any. Steep terrain like yours rainbowgardener I think are the most interesting. What a lot of work you have put in hauling the retaining wall bricks. WoW! It looks like a perfect sanctuary. thanks, Jewell. It is becoming that sanctuary... It is a big project and a lot of work. Some people talk about going to work in the garden and they mean going out in a garden hat with a pair of scissors to snip spent flowers off the daisies (not that there's anything wrong with that ). 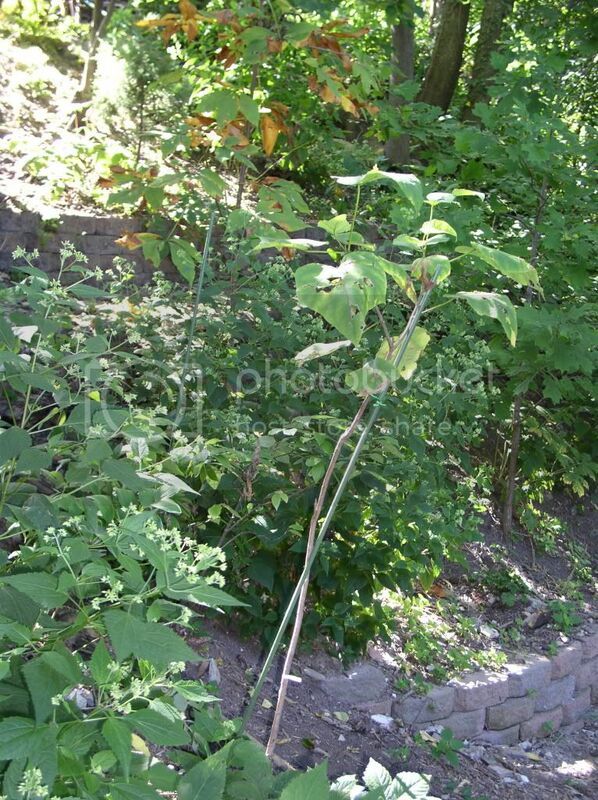 My version of gardening involves hauling rock down steep slopes! Looks great! I wish I could afford the hill country around here, but anywhere there's a hill, or is hill country, it gets ridiculously expensive. I'm stuck with flat earth Maybe I can find a smaller town near a city with some hills I can afford, but anywhere too close to a city will be too high. I like the retaingin walls, but are they messing with erosion? 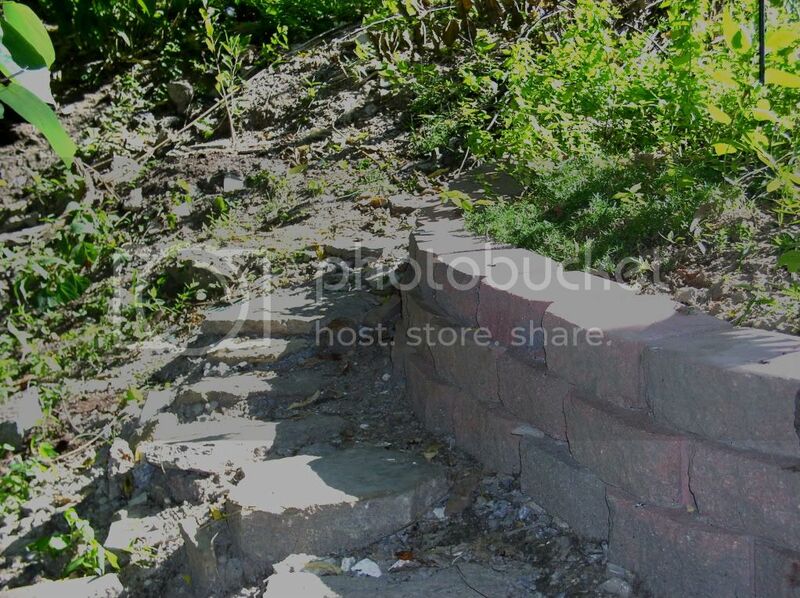 I've heard alot of retaining walls mess up natural erosion and can cause problems in other areas. Is yours having that effect? I know that's whats killing Hawaii's beaches. 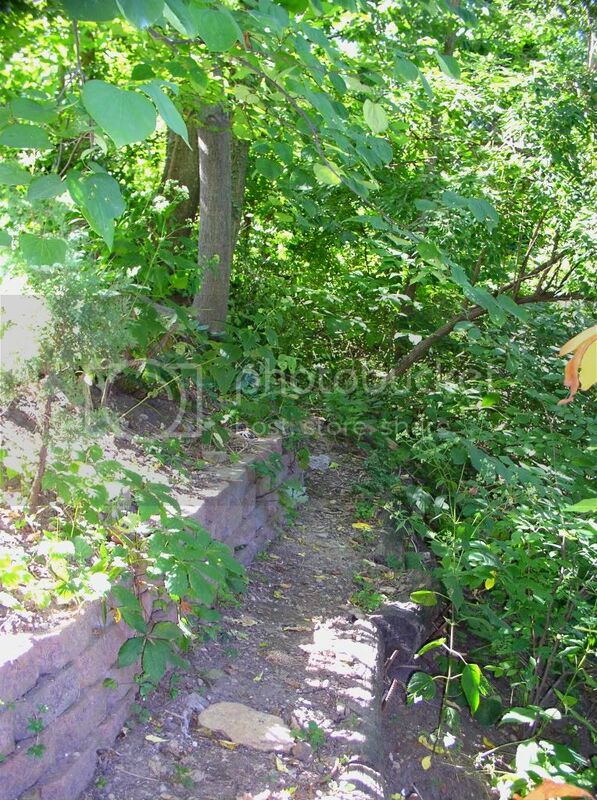 The point of the retaining walls is to keep the soil from washing away down the hill. I think they can be a problem with beaches, but that's not my situation. You will note in some of the pictures stumps of the big old honeysuckle bushes that used to be there. I leave the stumps because the roots help anchor the soil, until the stuff I am planting gets big enough to do the job. Last edited by rainbowgardener on Tue Sep 15, 2009 9:55 pm, edited 1 time in total. Rainbowgardener, those are some Herculean projects! I'd love to come sit on your bench. It looks like the perfect place to feel at one with the universe. Last edited by applestar on Wed Sep 16, 2009 1:17 am, edited 2 times in total. Thanks, applestar! I just this weekend finished planting my fall order. Took a couple weeks to get everything in the ground. 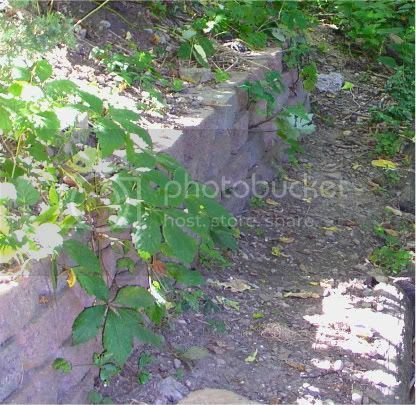 rainbowgardener wrote: The point of the retaining walls is to keep the soil from washing away down the hill. I think they can be a problem with beaches, but that's not my situation. 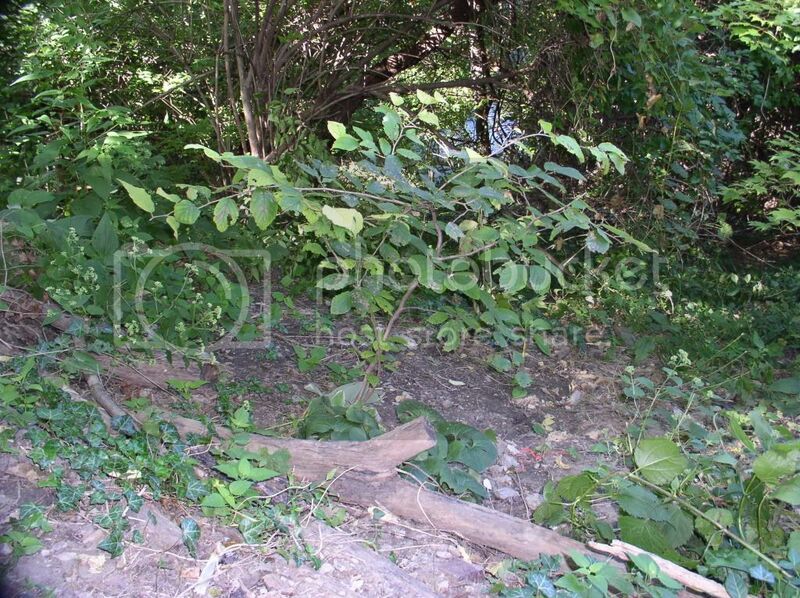 You will note in some of the pictures stumps of the big old honeysuckle bushes that used to be there. I leave the stumps because the roots help anchor the soil, until the stuff I am planting gets big enough to do the job. That's good to know, I always knew it was a big problem with beaches, but never knew for sure if ti affected areas like yours. You're lucky, it doesn't matter what the hill's like here, it gets developed by someone with money. The "wrong side of the tracks" got shoved far away from the hills, lol. When it gets too "steep" the 'green' rich folk build those amazing houses hanging off the hills, or cliffs in some places. Earl K wrote: Must be nice to have elevation changes. Down here it is just plain FLAT. We all work with what we've got... I like my hillside, but it can also be a pain. There are times, when I'm trying to plant or weed, when I long for some place flat to put my feet! Or to be able to set my bucket down with out it rolling down the hill. If I did live somewhere flat, I'd be doing the same amount of work the other direction (maybe I'm just never satisfied ). You can make a flat yard a lot more dramatic by adding some elevation changes: berms, raised beds, terraces, tall containers, boulders, etc... Even raising a section a few inches makes a difference.